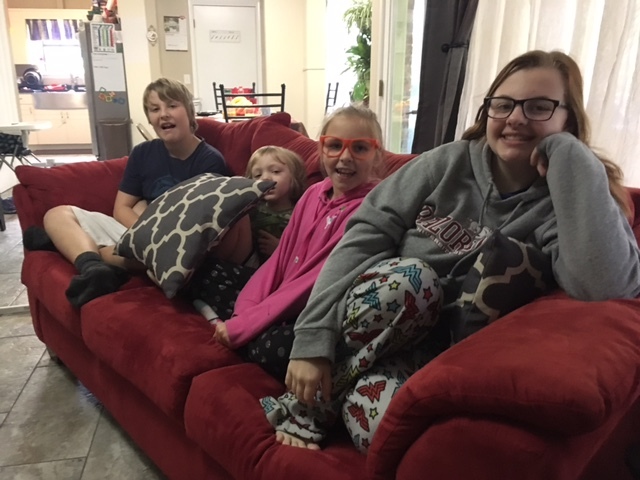 Profile Response: Shawna Remy and family, Russellville AR | How Will We Live Tomorrow? Shawna’s fiancé, Johnnie Marlin LaCaze commutes several days a week to Little Rock as a founder of EEtility, a firm that helps electric coop customers obtain energy efficiency improvements, which is also Arkansas’ first B Corporation. Johnnie is a quiet man who tends to the domestic chores of raising eight children without reminder. 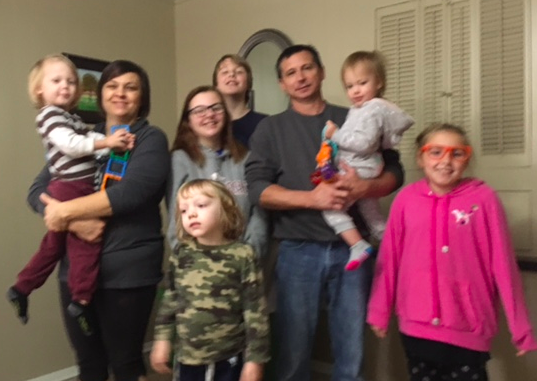 Wait a second – did I say eight children? Actually, Shawna and Marlin have twelve in total, but four live away right now. There’s Marlin’s oldest daughter, adopted from a first wife, Shawna’s four, Marlin’s three from a second marriage, the toddlers they adopted, the granddaughter they took in when her mother couldn’t provide, and another one whose connection was not clear, which clearly didn’t matter. Their house is jovial chaos, at least when there’s an itinerant cyclist about for diversion. There are chore charts and blessing quotes on the walls. Meals are buffet style and portions are huge. For breakfast Shawna scrambled 18 eggs; Marlin cooked two pounds of bacon and griddled twenty hot cakes like seasoned short order cooks. Everyone seemed pretty happy to be there. I sure was. “There are a few things that come to mind, a combination of philosophical and spiritual. We live tomorrow how we live today, and how we live today will determine how we live tomorrow. “I try to be earth friendly, to leave a lighter footprint on the earth. I had a huge garden in the back of our old house. That first summer I canned and had enough produce for our family and many others. Those cans lasted two years. We scaled back, yet still fed ourselves. This entry was posted in Responses and tagged EEtility, Johnnie Marlin LaCaze, Russellville AR, Shawna Remy. Bookmark the permalink.